Come visit us in South Beloit! We’re located right on the stateline of Illinois and Wisconsin, offering access to all both states have to offer. 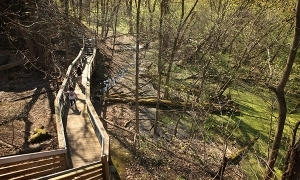 South Beloit offers access to parks, hiking, biking, and water trails if you’re looking to enjoy the outdoors. Fishing, swimming, and bowling are great family activities that you can enjoy in South Beloit, as well. If you have a need for speed you can visit Blackhawk Farms Raceway where cars and motorcycles can be found racing on the 2-mile track each weekend. Our neighbors to the north and south also offer lots of great activities and attractions – you’ll want to stay a few days with us to see and experience them all! History comes alive in the restored 1850’s Bushnell Wheeler House situated high on the scenic bluffs overlooking Beloit and South Beloit. 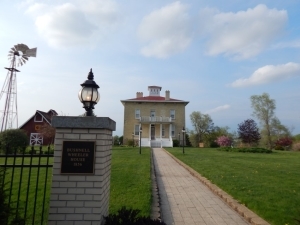 The South Beloit Historical Society makes its home here and has lovingly reclaimed the beauty of this historic Italian Villa and its sloping grounds. Group tours are welcome by appointment. Be sure to visit the artfully decorated house during the holidays and then return to enjoy homemade ice-cream on the lawns during the annual Summer Social. City Park has a picnic area, picnic shelter, walking path, and a lake for fishing. The City of South Beloit offers park shelter rental in City Park. To reserve a shelter call or visit the City Clerk’s Office. Alcoholic Beverages are prohibited. To be able to launch a boat, you must apply for a boating permit. An Illinois fishing license is required. The Dorr Road Bike Path begins at South Beloit Municipal Park. 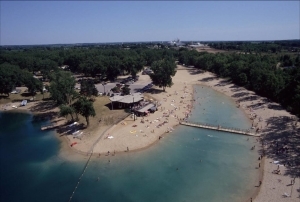 Pearl Lake is a resort located in South Beloit, Illinois, just minutes from Interstate Highways 90/39and 43. Outdoor attractions include both short-term and seasonal camping, as well as swimming and scuba diving in the pristine waters of their privately owned Pearl Lake. Additionally, casual dining and cocktails are available at Pearl Lake’s restaurant that serves a variety of steaks, seafood, and sandwiches in a resort atmosphere overlooking the lake. Nature at The Confluence is an initiative to transform the area of land where Turtle Creek meets the Rock River into an urban ecology center that offers our community a place to celebrate the natural and historical signifigance of the land. Partners in this initiative include Beloit 2020, City of South Beloit, Be Active Outdoors, and other community groups and organizations. The land is open to the public, but the nature center is under development and is planned to be open in 2016. 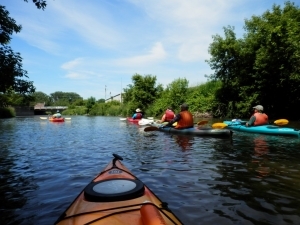 This area is a designated launch area for the Rock River Trail and there is a kayak and canoe launching area on Turtle Creek that will take you out to the Rock River. Parking is available. There are no public restrooms located at this facility. 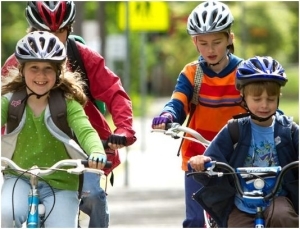 Biking Routes – The Stateline Spinners is a riding group that has put together some great biking routes in our area. Visit their website to find the maps in both a pdf file and a downloadable GPS file. 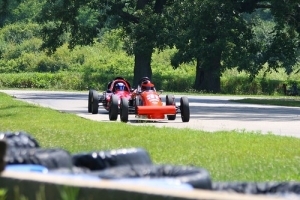 Racing enthusiasts enjoy regular visits to Blackhawk Farms Raceway. Located just minutes from Beloit, the seven-turn, two-mile asphalt course challenges both amateur and professional drivers. Spectators enjoy sports car, motorcycle, bicycle and go-cart racing weekends. 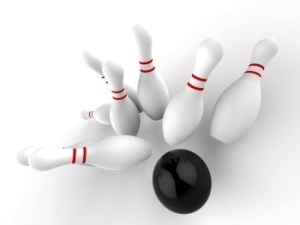 Get in on all the action at Viking Lanes – a great place for family outings, group events and leagues. South Beloit offers some of the best antique shopping around! With three large antique malls all within one block, you can literally shop until you drop! Come and spend the day, or a whole weekend, looking for treasures in South Beloit! Just down the road from South Beloit in Roscoe, Illinois you can travel through time at this unique museum where entertainment meets history. A fabulous collection of unbelievable artifacts representing American culture. 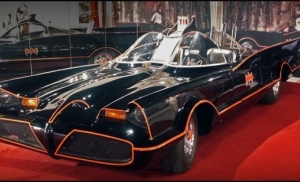 Themes of Turn of the Century, Kennedy Day in Dallas, Gangsterland, Movieland, Famous Cars & Stars, TV Land and much more. Admission Charged. 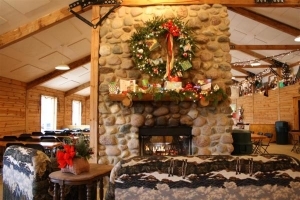 Williams Tree Farm is located just minutes from South Beloit and they keep busy all year. Find your perfect pumpkin, enjoy pony rides and much more. Starting in mid-November, old fashion holiday fun awaits you. Choose a horse drawn hayride through hundreds of acres as you search for that perfect Christmas tree or stay warm in the Cabin Cafe with a cup of wassail or cocoa and select a pre-cut tree ready to go. Along with sightings of a real reindeer and other farm animals, Santa arrives on weekends, to make your visit a classic holiday memory. The gift shop is full of unique items and features an endless variety of homemade fudge and other goodies. Groups can schedule a wagon tour of the farm or a bon-fire outing. The log cabin style lodge with post & beam interior offers a charming place for your event or wedding with a seating capacity of up to 300 people. Northern Illinois’ most popular state park is just down the road a few miles from South Beloit. 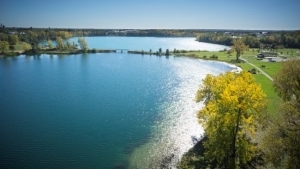 Rock Cut’s 3,092 acres include two lakes: Pierce Lake, with 162 acres, a retreat for people wanting to fish, ice fish or ice skate; and, the 50-acre Olson Lake and swimming beach are popular each summer. The park’s hiking trails, horseback riding trails and cross-country skiing and wildlife watching, as well as seasonal hunting programs, make it a year round recreation destination. The beautiful campground has 270 premium campsites, a rustic cabin, a group camp and shelters.